I was like, "Why not?" Your dad paid the workshop fee right away! More excited than me huh? Haha! 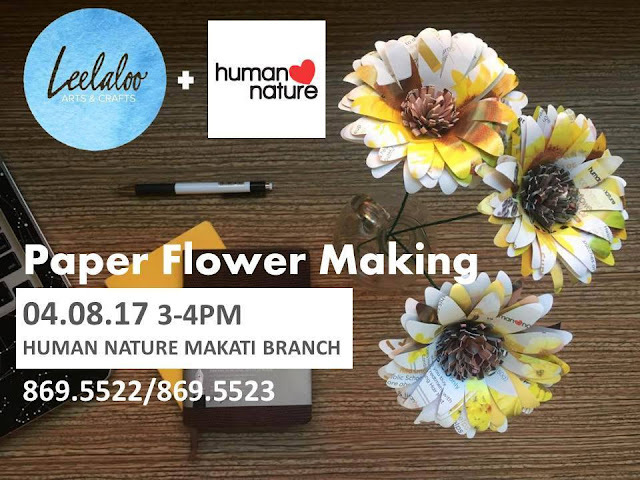 The workshop by hosted by Leeanne De Quito of Leelaloo Arts and Crafts in Human Nature Makati Branch. We arrived there at 2:30pm, no traffic in Pasong Tamo so we killed time by shopping for coco jams that I am sending to Van Nuys for some officemates there. I got jams for Shelly, Galit and Deb! I hope they like it. We started at a lil past 3pm, I thought I was going to be drunk with Bayani Brew while waiting haha! 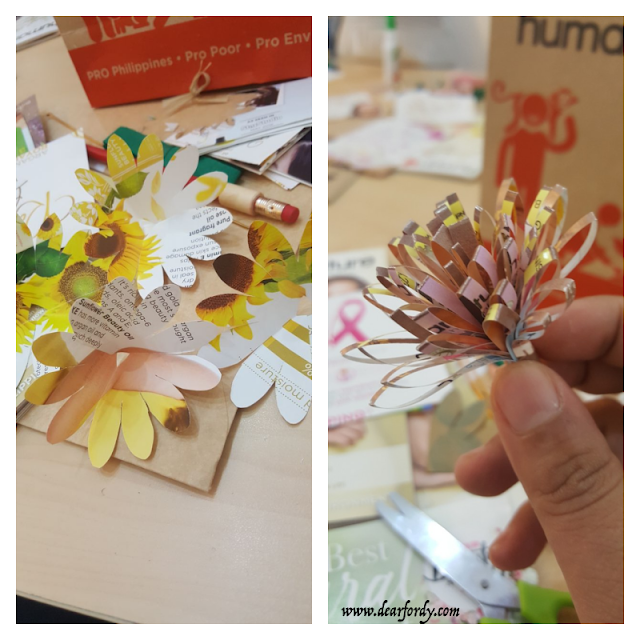 We were handed the kits which includes glue, a pair of scissors, 3 pcs of aluminum wires, pencil and masking tapes and strips of crepe papers. We were also given old Human Nature magalogues to use for the flowers. I got excited at the sight of the papers and scissors! Grabbed this pic from their FB page because the one I took was corrupted. "Enough on the glue, the paper will warp." "Okay, here, take a picture of what you've done." Are you proud of me, Fordy? Mommy made this! This is a rose, my bubut. Believe me, this is haha! The workshop ended at 5pm and we all enjoyed it. And you know what, we did not even feel the earthquake! The guard just told us that people were running out for safety. That is how immersed I was. Anyway, we were safe, thank God! Leeanne will have another workshop next week for wire arts but I cannot go because we will be in Batangas then. We are spending the Holy Week there. I hope I can catch her next time because she is really very good and this can be my stress reliever! 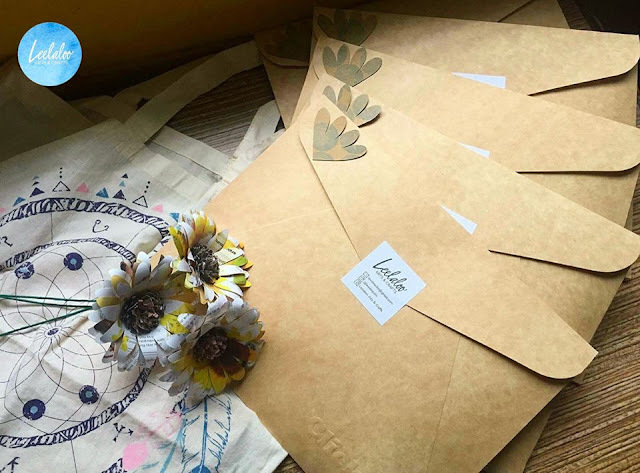 More of her works are in her blog, Happy To Leekha. 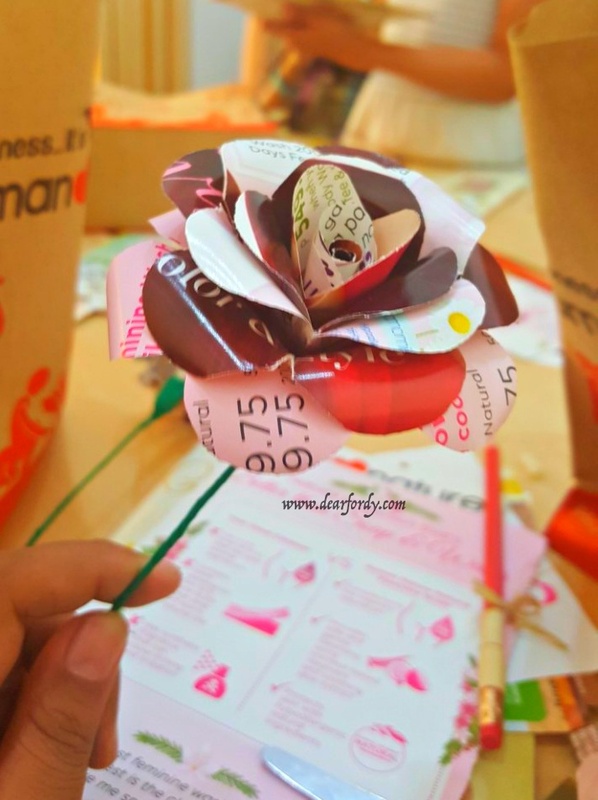 I am going to make some flowers for a vase that I will put beside you. You like it? Also, today, I cooked calderetang Batangas for lunch. They like it. I know you would have liked it too. I miss you, my Fordy. Watch over us always especially that earthquakes are so frequent. I love you my guardian angel Fordy! Oh wow! Thanks so much, Apple! 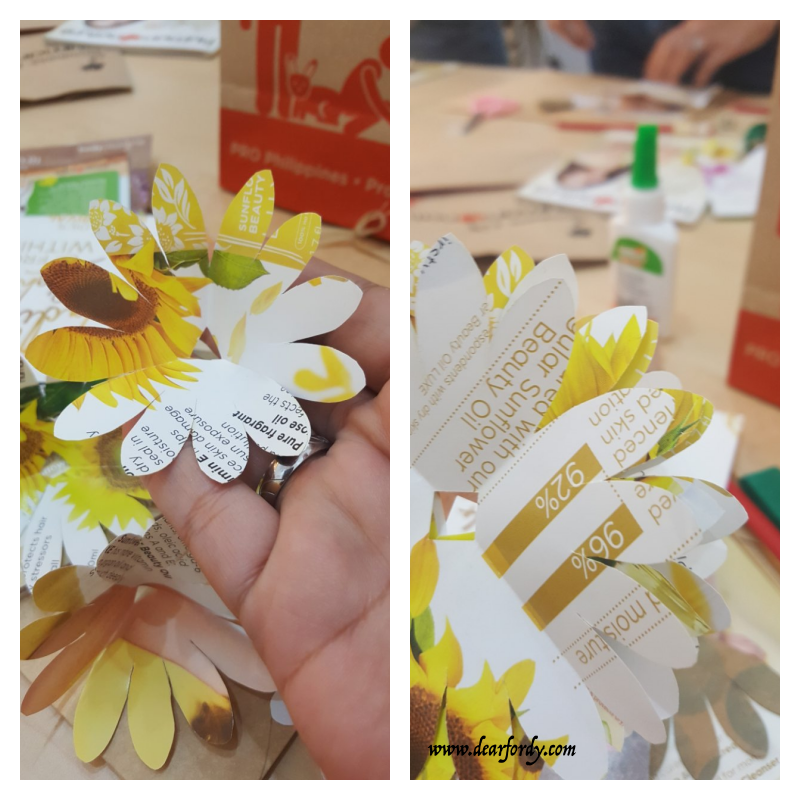 I'm glad you and your husband enjoyed the workshop. 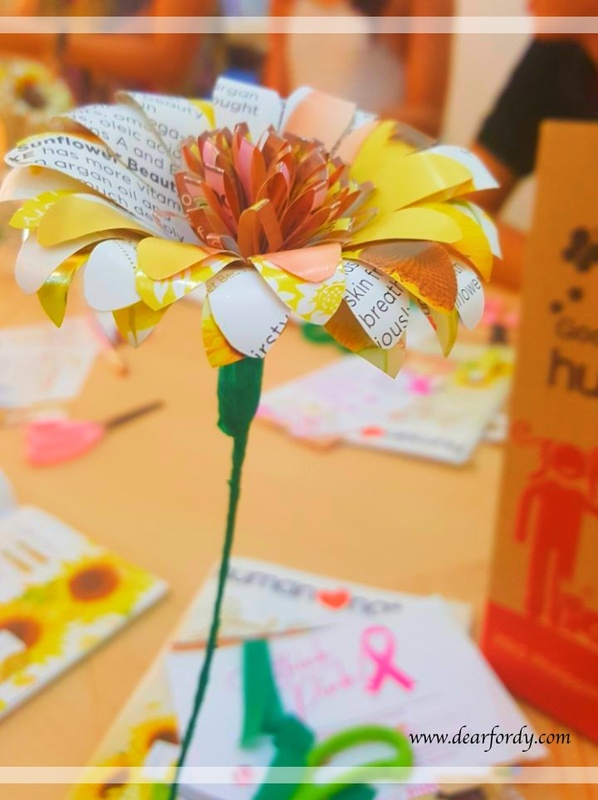 Your paper flowers are impressive for a first-timer. Good Job! :) Hope to see you again next time!